Louise Yamada is the Managing Director of Louise Yamada Technical Research Advisors (LYA) founded October 2005. Previously Louise was Managing Director and Head of Technical Research for Smith Barney (Citigroup), and while there, was a perennial leader in the Institutional Investor poll and the top-ranked market technician in 2001, 2002, 2003 and 2004. Additionally, Louise penned several notable reports, including "Bull Market Extension? There is Historic Precedent" (1994) and "New Horizons for the 21st Century" (1996), both the subject of feature interviews in Barron's on May 8, 1995 and September 9, 1996, as well as the special 1999 TRENDS report "Shifting Sands," projecting major long-term structural trend shifts that have evolved. 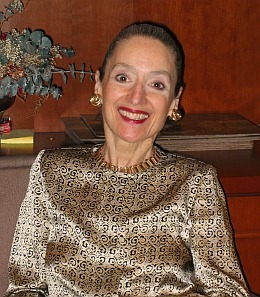 At LYA Louise has made major calls on: The onset of the relative strength structural decline of the Financial sector (beginning March 2007); the continued structural bull market for Gold (from 2002); her 2004 Alternate Hypothesis demonstrating that the 2000-2002-2008 equity market could track the 1929-1932-1938- stock market (it did); Bonds, the last 20+-year trend yet to reverse (2006); and many other key calls on the domestic and foreign stock markets, Energy, Interest Rates and Commodities. She is also the author of "MARKET MAGIC: Riding the Greatest Bull Market of the Century" published by John Wiley & Sons, released in March 1998 and reviewed as "The thinking bull's bible" and "a monumental book, one that all serious and professional investors should read." Louise is a Chartered Market Technician (CMT) and a member of the Charted Market Technicians Association, the American Association of Professional Technical Analysts and the Financial Women's Association. Louise appeared as a special guest on "Louis Rukeyser's Wall Street" and appears frequently on Bloomberg TV and Radio, CNBC and BNN TV as well as in print and online media including Barron's, the Wall Street Journal, the New York Times, Yahoo Finance and the Financial Times. She has been a frequent guest speaker at conferences and organizations, including the 2009 Fall Conference of the National Organization of Investment Professionals and the 2010 FEI NYSE forum. Louise received a B.A. from Vassar College and an M.S. from Bank Street College of Education. Last Updated: May 10, 2018 9 PM Copyright 2005-2019. All Rights Reserved.